When the average person buys furniture, they consider a few typical factors. How does the furniture look? Is it comfortable? Is it the right size? Each of these aspects will help buyers make a decision on which piece of furniture is best for them. Professionals at behavioral health facilities have to consider all of these factors and more. These facilities need to keep their consumers’ health in mind and select furniture built for hard use in environments where patients may be at risk for outbursts and self-harm. Of course, health care furniture still needs to be attractive, comfortable, and affordable, making the search for the right beds, chairs, and other items difficult. Fortunately, Tough Stuff solid wood furniture can be exactly what behavioral furniture professionals need for their facility. People have been using wood to make furniture for centuries, and it’s still looks good today. The Tough Stuff line of furniture blends that classic look with extreme durability, making it a great option for people who need furniture that can hold up in difficult environments. The solid wood construction makes this furniture strong enough for heavy use while still maintaining its aesthetic appeal. The Tough Stuff! cushions can also be made to be fluid-resistant, further protecting the furniture from damage and stains. The solid wood construction does more than just make it durable. 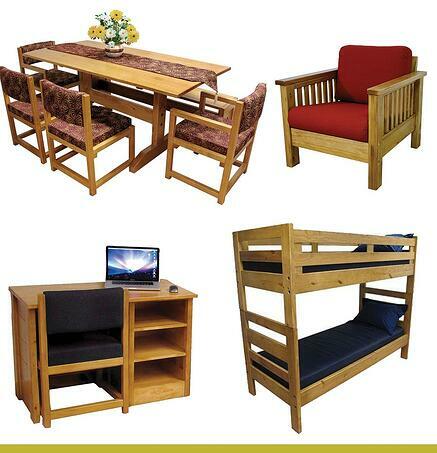 It also helps facilities save money when investing in beds, tables, chairs, and any other necessary furniture. Tough Stuff’s durability allows behavioral health professions to go longer without ordering new furniture. Even a few extra years of good use can lead to big savings. Get the Health Care Furniture Your Facility Needs. Health care facilities have more furniture needs than the typical homeowner. They also need more furniture in general. That makes shopping at regular furniture retail stores inefficient and expensive. Contract furniture sellers can provide quality health care furniture in the quantities that facilities need, all within your budget. Start your very own Furniture Concepts Wish List today and get a price on your selected furniture from one of our experts. If you have any other questions, contact Furniture Concepts online or give us a call at 800-969-4100 today to get a furniture solution for your facility.